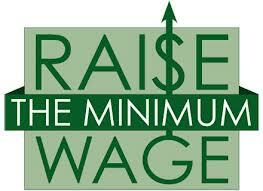 The most famous economic study that supports raising the minimum wage is from 1992 by Card & Krueger. (David Card and Alan Krueger) These two economists surveyed fast food franchises in the New Jersey area before and after a minimum wage increase of 18.8% ($4.25/hour to $5.05/hour). Their studies showed that employment actually increased. Why was that and should proponents of raising the minimum wage really balance their main argument on this famous study? Like any study you must be aware of what went into it, not just the well written conclusion! As we all should know (but few realize) numbers and statistics can be delivered to show almost any result the “researcher” wants. We’re not pointing fingers or calling anyone names but always be aware of the old adage: ”Figures don’t lie but liars can figure”. In the case of the Card and Krueger study it only looked at one instance of change and focused on only one industry. They looked at the fast-food industry but only surveyed certain franchises (like the typical Burger King, McDonalds, or Taco Bell). Those names are huge chains and not reflective of who really gets stung. Think about your local Mom & Pop restaurant or neighborhood deli. Independent operations like this are far more labor intensive and cannot handle economic ripples as easily as a huge fast-food chain. An example of this is with the immense amount of prep work needed in these establishments; vegetables and buns are pre-sliced instead of by labor forces in the store. If you don’t want to mind-wrestle with the economic equilibrium points or elasticity reactions…just think of yourself as a business owner. Assume you pay your employees in a range depending on experience but on average it’s $10/hour. You are also saddled with trying to provide health insurance to your employees, which is another topic all on its own. The minimum wage increases to $9/hour and your temporary workers naturally want an increase too. Those who have more experience or tenure with you are going to want the same (if not more). What basically happens is that your entire wage scale is pushed up forcing you to make immediate decisions. It comes down to more than working harder, passing on costs to the client, or being more efficient. Nothing really happens to your highly paid workers but ironically enough it’s the ones who need it the most (lower paid) that are most vulnerable to get cut out completely! To stay in business most business owners simply cut hours and jobs. What most people don’t realize is the end result of a policy change doesn’t always deliver the intended results. If you think it’s hard to live on $10.10/hour…you’re right. What’s even harder though is losing that job and going to $0.00/hour. The reality of workers being cut in this range is simply factual. The other unintended consequence is that if wages increase within this sector of the work force there isn’t the intended economic boost of stimulus that you would think. When businesses have to pay more for wages they then invest less elsewhere and that more than offsets the mild stimulus that the increased wage earners would theoretically bring. We won’t bore you with footnotes or attachments to piles of past economic studies on this topic. If you’re truly curious simply look them up! If you want to save some time what you’ll undoubtedly learn is that raising the minimum wage will help a few people but overall unemployment actually increases! On average a 10% increase in wages leads to a 1% reduction in employment. President Obama’s current proposal calls for a 24% increase. Do the math… In summation, with any hotly debated topic there will be passionate opinions and surveys but one must always be aware of the facts (or lack thereof) and the long lasting effects. This entry was posted in Economics by Matt@DearMrMarket.com. Bookmark the permalink.